Another Exclusive Luxury Label Emerges From Marbella | Marbella Marbella – Adelante! Sun, sea and luxury from all over the world, is maybe what Marbella is best know for. But not all luxury items are imported to Marbella…. a few is also exported. The people behind it are the 2 famous Marbella based artists, Mugge Fischer & Ose del Sol from Grupo Artenovum. Throughout the last decade, they have been amongst the trendsetting artists, with their spectacular interpretations of bullfighters and dancers, modern art and the tribute to women, Donnas del Mundo, presented 2 years ago at the Casino Marbella at an extravagant exhibition. The 2 artists are always in a creative mood. Each year a new project, and last year they introduced their digital artwork collection, Artenovum Graphics, and this year, they have taken this very same collection…and benefitting from Ose del Sol´s past as a Haute Couture fashion designer, they have used this fashion style to create a whole new line of colourful, comfortable, unique and creative clothes. As with all of the projects from Grupo Artenovum, they go the extra length to use Spanish manufacturers. And the same manufacturer who is making the items for their Home-Collection, are also producing the T-Sharte collection. “And we are really happy and proud that all T-shartes products and other goods to Grupo Artenovum is Made in Spain.” Says Mugge Fischer. 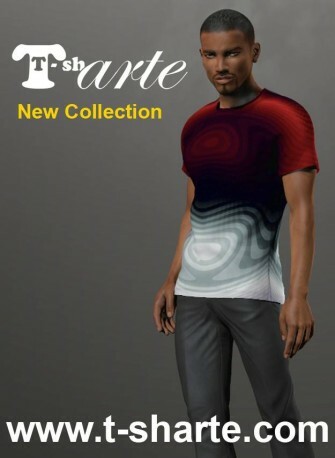 The T-sharte collection includes so far nine items: T-shirts and loungepants for men. Women’s T-shirts, leggings, long and short pants, long and short dresses and mini-skirt. 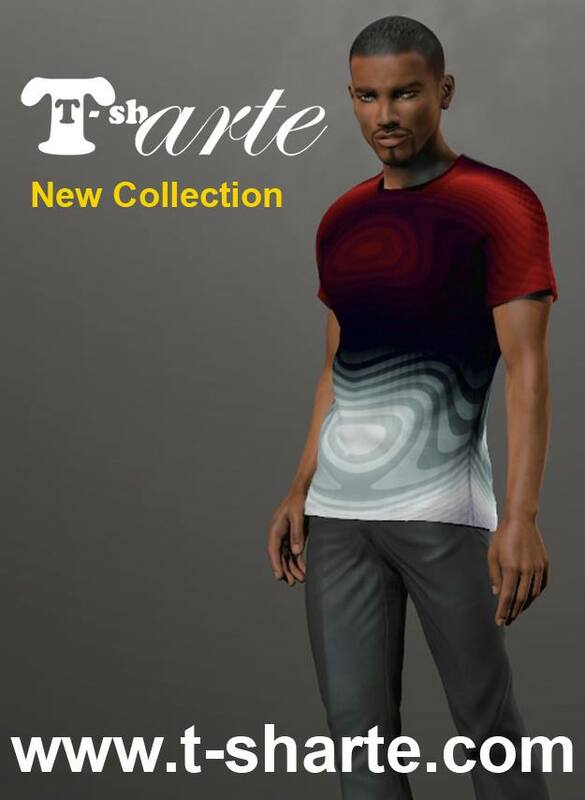 The clothes from T-sharte is produced from the finest 90 percent cotton and 10 percent spandex fabric that is comfortable, stretchy, soft and easy to deal with. None of the products have zippers or buttons, it is quite basic using only elastic band in trousers, skirts and dresses. The printing and sewing factory Printtex located in Ayamonte, produces all T-shartes hand-made models on order, and therefore there is no item in stock. The delivery time is 8-14 days. Disclaimer: The views, opinions and positions expressed within this guest article are those of the author Mugge Fischer alone and do not represent those of the Marbella Marbella website. The accuracy, completeness and validity of any statements made within this article are not guaranteed. We accept no liability for any errors, omissions or representations. The copyright of this content belongs to Mugge Fischer and any liability with regards to infringement of intellectual property rights remains with the author.